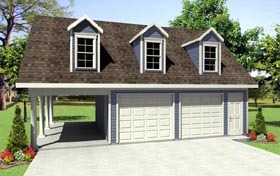 This garage plan offers a great layout which provides for maximum flexibility. 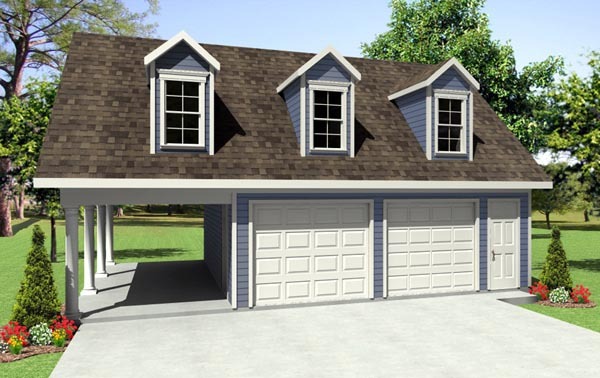 On the first floor, you'll enjoy the ample space provided for your two vehicles as well as a third space under the covered carport. 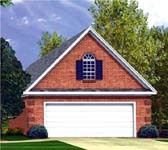 The separate storage area is perfect for locating lawn equipment, tools, etc. Upstairs you'll find much more usable space, including 8 ft. ceilings in the center of the room, which can be used for additional "attic overflow" and/or much needed workspace. Great addition to any home! Question: Can this plan be modified to 46x32? 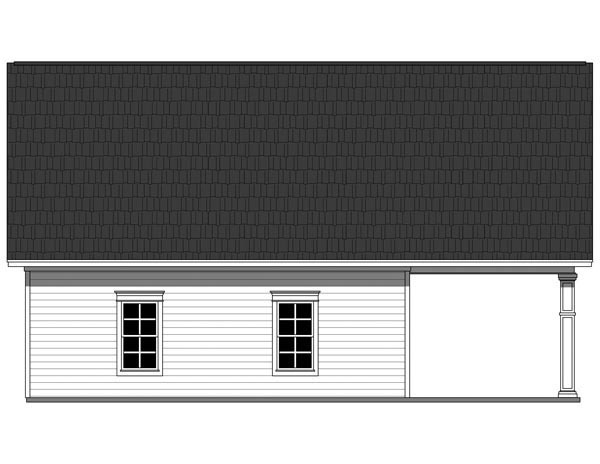 Answer: Hello, Yes, the size can be changed onsite by the builder, or we can modify the plan for $375 in addition to the purchase of the plan package. Allow 4 to 6 working days for preliminary plans, and another 7 to 10 working days for final plans. Thanks. Question: can these buildings be a maximum of 20 ft high?